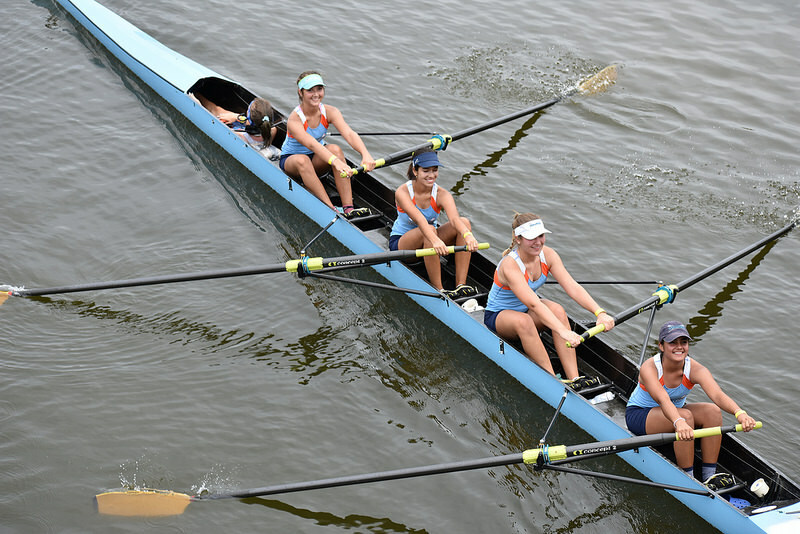 Our Freshman 4+, consisting of Carla Isaac, Julia Keith, Mariana Avila, Carolina Davis and Audrey Vilendrer started their rowing careers off right with a medal at the Florida State Championships! They had a picture perfect race in their qualifying heat and got second. This meant they got to skip the repechage and go directly to the Grand Final. In the Grand Final they found themselves in a close battle with two other crews for second and third places. But, they held on and fought to the end earning the bronze. After States they went on to Regionals and raced the U17 4+ event. Again, they got 2nd in their heat and went directly to the Grand Final. In their Final, they ended up getting 5th to some very fast crews. But, 3rd in Florida and 5th in the Southeast is a great way to end their first year of Rowing! They are definitely headed for more success in the years to come!